Clonlara School hosted its annual Art Show & Open House on March 7, 2019. The exhibit featured works by more than 60 Clonlara students from 10 different countries as well as a performance by our campus Youngers (and some of their even younger siblings). We are thankful to all of the artists who contributed to this wonderful event, and to the members of the Clonlara community who came out to appreciate their work! The drawings, paintings, photography, and more featured above in the slides and movie from this year’s art show highlight the unique perspectives and diversity of our students. 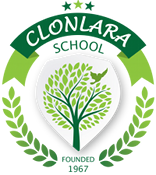 They are examples of what is possible when Clonlara students around the world have the freedom to follow their interests and craft an education that works for them. We hope you enjoyed these scenes from our exhibit. If you have a message for our talented artists or other comments about the show, please share them below.